Ongakubaka: Robby Moncrieff - Who Do You Think You Aren't? 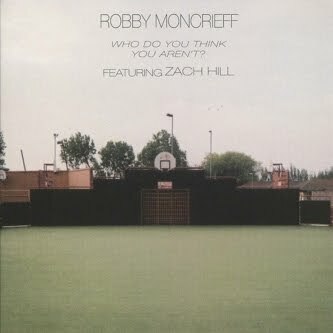 Robby Moncrieff - Who Do You Think You Aren't? "Robby Moncrieff and Zach Hill team up for an explosive assault of mind bending keyboards and drums that merges the atmosphere of a 1970’s Italian horror film with a psychotic Nintendo 64. Robby Moncrieff, who is best known as What’s Up and has worked with The Dirty Projectors, brings a more experimental edge to his sound by mixing layers of keyboards and dynamic effects. Zach Hill, from the band Hella, contributes his stunning bombastic drumming style that lifts the recording to new heights seldom heard in electronic keyboard based music. This is a recording for the adventurous listener who welcomes new music created from a multitude of genres." Download Who Do You Think You Aren't? I went ahead and bought this but thanks so much for the post!